Posted by dutchgrub	on Friday, October 23, 2009 at 13:08. 0 Comments. Pure Markt Amsterdam is an artisanal food market that takes place once a month in Park Frankendael in Amsterdam. I first went there in August and loved how the food producers personally offered their wares, providing insights and stories and encouraging people to taste their precious produce. 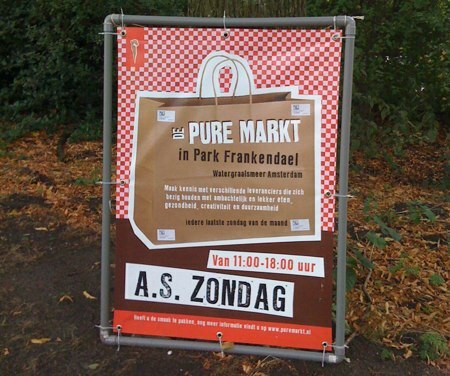 This Sunday, 25 October 2009, from 11am to 6pm is your last chance to visit the Pure Markt and stock up for the winter. The market takes places each last Sunday of the month and closes during the winter. Filed under amsterdam, food, market.